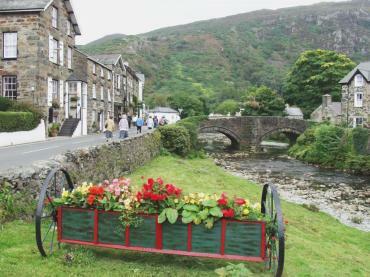 BeenThere-DoneThat: Beddgelert, Snowdonia, Caernarfonshire, North Wales. 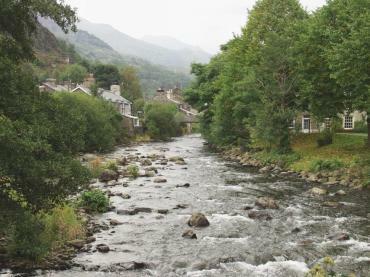 This is an attractive village, situated at the confluence of the Rivers Glaslyn and Colwyn, on the edge of the Snowdon massif. 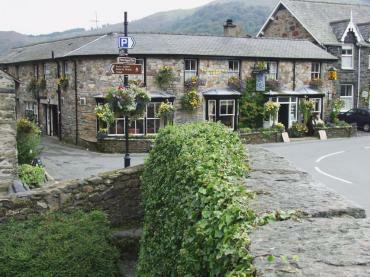 It can be reached via Capel Curig by following the A4086 towards Llanberis but turning onto the A498 rather than going through the Pass of Llanberis. Alfred Bestall wrote and illustrated his 'Rupert the Bear' stories whilst he lived in Beddgelert. Looking north-east along the River Glaslyn from the point at which it is joined by the River Colwyn. 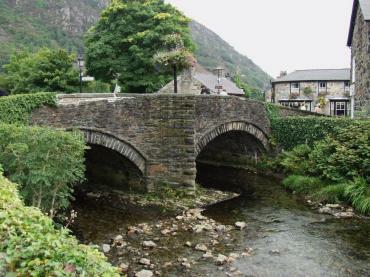 The bridge, over the River Colwyn, which carries the A498 to Portmadoc is too narrow to permit two vehicles to pass. Ivy (Hedera helix) can be seen growing on to the bridge from each end. The Ivy (Hedera helix) growing on the bridge can be seen easily in this picture. The Tanronnen Inn opposite seems to be a very nice little inn. We haven't stayed there but we have had lunch there and very good it was. We can certainly recommend it as a good place for lunch. 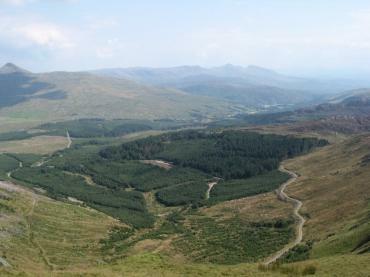 View from Trum y Ddysgl looking South-East towards Beddgelert which is only a mile from the far edge of the trees.